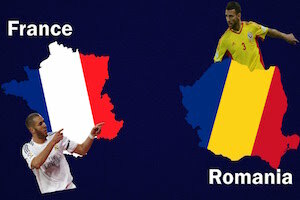 France against Romania on Friday. This is the opening game of EURO 2016! We all see the hosts France as winners of this game and even the whole tournament, still the odds for home win are ridiculous as Romania is very balanced team. In their 3 games in the preparation period, Romania scored 9 goals and conceded 6 and I think they can score once again in this match. If France do have a weakness, then it is their defence as the attack looks intimidating. Antoinne Griezmann, Anthony Martial and Arsenal striker Olivier Giroud will lead the attack with the support of Kingsley Coman and Paul Pogba. So full stadium very motivated French team and crowd behind them. I see both teams scoring in this game and France winning with at least goal difference.